Senate Bill 09-108, also known as the Funding Advancements for Surface Transportation and Economic Recovery Act of 2009 (FASTER), was signed into law on March 2, 2009. FASTER allows the state of Colorado to improve roadway safety, repair deteriorating bridges, and support and expand transit. The bill generates about $200 million every year for state transportation projects across Colorado. Additional revenue is provided for city roads (approximately $27 million annually) and county roads (approximately $33 million annually). This revenue is generated through several vehicle registration fees and fines established or increased by FASTER. The landmark FASTER transportation legislation made a number of important changes to the funding and operations at CDOT, including the formation of the High Performance Transportation Enterprise and the Colorado Bridge Enterprise. One of the key purposes of FASTER was to quickly generate funding for state roads and bridges lacking sufficient funding for repairs and safety improvements. These funding shortfalls resulted both from the loss of state general fund revenue for transportation and the long-term decline in the purchasing power of the gas tax. FASTER has helped address these shortfalls and has brought new funds to highway and bridge construction in support of the Colorado economy. From 2002 to 2007, for example, FASTER improved the mobility and safety of Colorado's transportation system through hundreds of projects across the state. Colorado's gas tax has been 22 cents per gallon since 1991. At the federal level, the 18.4 cent federal gas tax has remained the same since 1993. Further, more fuel-efficient vehicles on the road contribute to the decline in funding, since tax is calculated based on gallons purchased and not on per-gallon rates. 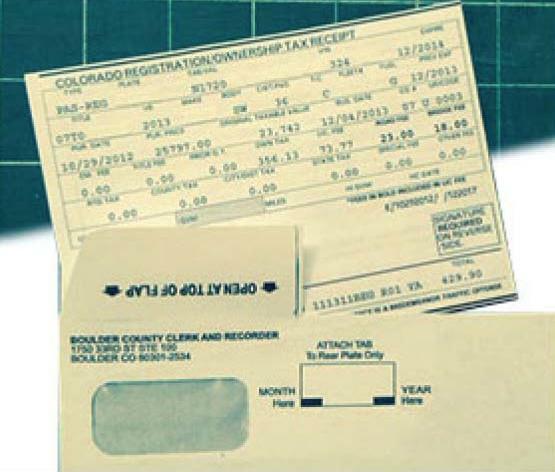 Incremental fees for late motor vehicle registration. For an average vehicle owner, these fees total approximately $6 per month. FASTER's fees generate an annual budget of $200 million for the state. These fees are split with state and local governments. In fiscal year 2014, FASTER fees generated approximately 17 percent of CDOT's $1.2 billion budget. Additional revenues are provided to counties and cities as described herein. CDOT's budget decreased from $1.6 billion in fiscal year 2007 to $1.2 billion in fiscal year 2013. With current funding shortfalls, CDOT is forced to refocus as primarily a "maintenance only" organization—meaning the majority of CDOT's budget is dedicated to maintaining our existing transportation network and infrastructure. Meanwhile, travel on our system continues to increase. An additional 2.4 million people are expected to move to Colorado over the next 20 years—a 48 percent increase, which will intensify demands on the system. The Colorado Bridge Enterprise program is working to address 130 poor bridges with its annual share of approximately $100 million. The FASTER Transit Grants program has allocated its $15 million a year to support a total of 138 projects across the state. Any bridge that drops below a minimum safety threshold automatically falls into the CBE program. The need for the program will continue as roads and bridges age and deteriorate. FASTER does not sunset or expire. While FASTER fees are subject to a loss of purchasing power over time, the program still ensures that the state's transportation network has a reliable source of funding for years to come. The uncertainties in transportation funding at the federal level and the continued decline in the purchasing power of the gas tax will make FASTER funding even more important in coming years.